May is typically a time of great upheaval in TV land. 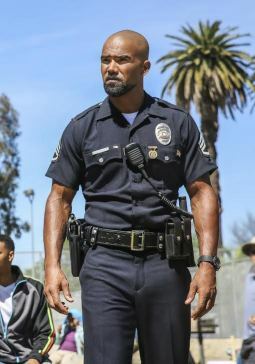 While many shows are gearing up for grand finales, several face the chopping block as new pilots vie for a spot on the coveted primetime grid. 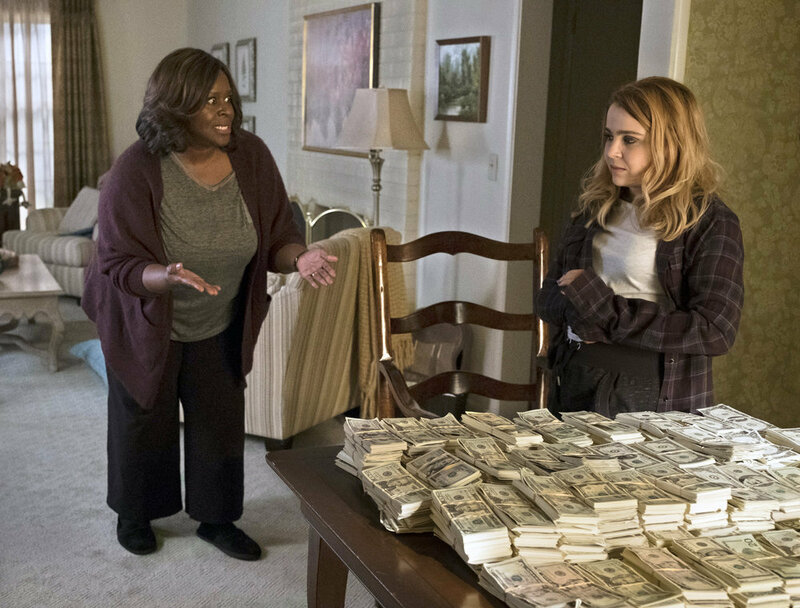 As the Networks gear up to present new fare during their annual Upfront presentations, first details on renewals, cancellations and new shows in the offing are already making the rounds. While you can keep up to date on all the cancellation bloodshed in our sister article Has My Show Been Canceled?, here you will find a daily update* of all the new drama pilots that have successfully made it for the Fall 2017/18 primetime schedule — along with those that stand a decent chance of doing so in the coming weeks. And while it’s really really far too early to give a solid first impression on any new show based on loglines, casting and initial premise (check back to read our reviews of all successful pilots later in the year) we’re going to attempt to do so anyway. Additional pilots will be added to our list as they are announced. Details: Renowned magician Cameron Black’s life has been ruined by scandal, leaving him only one place to turn to practice his art of deception, illusion and influence — the FBI. He’ll become the world’s first consulting illusionist, helping the government solve crimes that defy explanation and trap criminals and spies by using deception. Starring: Cast: Jack Cutmore-Scott, Amaury Nolasco, Lenora Crichlow, Ilfenesh Hadera, Justin Chon, Vinnie Jones, Laila Robins. First Impressions: Following the demise of Forever (which we will never get over, fyi) we have room in our hearts for a light and quirky new drama with an oddball central character from ABC. This might fit the bill, provided the show doesn’t favor cleverness over heart. Details: Set 250 years in the future, refugees from a war-torn country start showing up to seek asylum in an American town. Loglines tease that the action will focus on local sheriff with a past, a federal agent and a mother in search of her missing refugee daughter. There’s also a surprise and a conspiracy at the center. The surprise is that these people are from America. Future America. Yes. This is a time travel story. Sorta. As for the conspiracy? We’ll have to wait and see. The new series stars Sandrine Holt, Steve Zahn, Natalie Martinez, Jay Karnes, Marcuis Harris, Tommy Bastow, Simone Kessel, Bailey Skodje, Rick Gomez, Kelley Missal, Rob Campbell, John D’Leo, Grant Harvey, and Luc Roderique. First Impressions: Loving the not so subtle Modern America allegory. Not loving the prescient kid. Also, given how every time travel series ordered in the 2016/17 season has been canceled this week, is ABC correctly interpreting currents tastes for more? Details: This new series, based on a South Korean format, centers on a young surgeon (Freddie Highmore) with Savant syndrome who is recruited into the pediatric surgical unit of a prestigious hospital. Can a person who doesn’t have the ability to relate to people actually save their lives? Also starring Richard Schiff, Antonia Thomas, Nicholas Gonzalez, Hill Harper, Irene Keng, Beau Garrett, and Chuku Modu. First Impressions: It looks like The Good Doctor is cast from the reliable ‘doc with an issue’ mold. Also, do you really have to ‘relate’ to people in order to be a good surgeon, considering you do your job when they’re out cold? 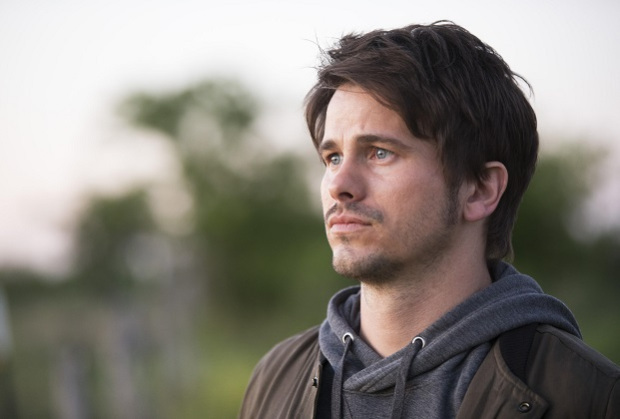 Details: Parenthood’s Jason Ritter and JoAnna Garcia (Once Upon a Time) had up this lighthearted not quite a comedy series about a down-and-out guy who is visited by a celestial being (God?) and essentially handed a mission to save the world. No pressure then. Also starring Cristela Alonzo, JoAnna Garcia Swisher, India de Beaufort, Dustin Ybarra, Chloe East, and J. August Richards. First Impressions: Sure, why not. Details: This new ABC Studios and Shondaland legal drama is set in the Southern District of New York (SDNY) Federal Court, aka “The Mother Court,” and follows newly minted lawyers working on opposite sides — for both the defense and the prosecution as they handle the most high-profile and high-stakes cases in the country, all as their personal lives intersect. The cast includes Britne Oldford, Ben Rappaport, Anna Deavere Smith, Hope Davis, Vondie Curtis Hall, Rege-Jean Page, Susannah Flood, Wesam Keesh, Lyndon Smith, and Ben Shenkman. First Impressions: This format, focusing on a revolving door of bright and beautiful medical interns — oops, we mean lawyers — struggling to balance their hectic careers with their personal lives is reminiscent of Grey’s Anatomy. In a good way. Prepare to add For the People to your #TGIT schedule. Details: Starring Kyra Sedgwick this new series will focus on Centers on Jane Sadler, an overworked television producer and single mother who finds herself in the midst of a fractious separation. When her young daughter goes missing in the middle of the night, Jane’s world — and her controversial police series — implodes. Life imitates art: Everything’s a mystery, everyone has a secret and no one can be trusted. Also starring are Adewale Akinnuoye-Agbaje, Malcolm-Jamal Warner, Josh Randall, Abigail Pniowsky, Mark L. Young, Emily Kinney, and Ali Liebert. First Impressions: Why mid-season? Isn’t Ten Days strong enough to be a Fall contender? Details: Starring Hell on Wheels’ Anson Mount, Graceland’s Serinda Swan and Game of Thrones’ Iwan Rheon, this new Marvel series sets out to explore the adventures of Black Blot (Mount) and the Royal Family. Details: This David Giuntoli (Grimm) NASA drama focuses on the next generation of astronauts and scientists who are faced with juggling both their personal and professional lives during a critical mission with no margin for error. Also starring Poppy Montgomery, Peyton List, Ricardo Chavira Nestor Serrano, Levi Fiehler, Vinny Chhibber, and Wunmi Mosaku. First Impressions: We would happily follow David Giuntoli from NBC to CBS, but what happens at the end of season one when the “critical mission” crisis has been averted? Details: Noah Wyle (The Librarians, Falling Skies) heads up this drama as the former general counsel for the NSA who, after his involvement as a whistleblower in an international scandal, embarks on a new career at a storied law firm in Boston. There, he faces the reality that while half the country thinks he’s our greatest patriot, the other half thinks he’s a traitor. Also starring Kristin Chenoweth, Lenny Platt, Shanley Caswell, Adrienne Warren, Stephanie Szostak, Lenny Platt, and Brian Stokes Mitchell. First Impressions: Is it a legal drama or a tense political thriller? Is it a procedural case of the week affair or something else? What? Tell us! Details: This Navy SEAL drama first made headlines when it attracted the attention of Person of Interest alum Jim Caviezel. Following Caviezel’s departure from the project Bones star David Boreanaz signed up for the lead role. The series follows the lives of the elite Navy SEALs as they train, plan and execute the most dangerous, high stakes missions the country can ask. Also starring Jessica Pare, Neil Brown Jr., Max Thieriot, A.J. Buckley, and Toni Trucks. 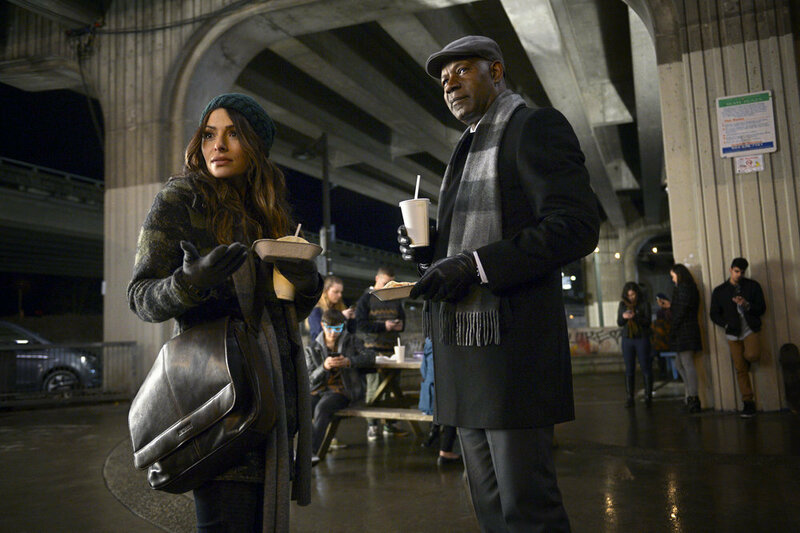 First Impressions: Could this be the next The Blacklist? First Impressions: CBS is the undisputed master of the procedural. Much may depend on how procedural SWAT leans. Also starring Richard T. Jones, Jake Matthews, Blake Lee, Natalia Tena, and Monica Potter. First Impressions: Sort of Person of Interest meets Scorpion meets APB meets Pure Genius then? Details: This latest Marvel series focuses on two ordinary parents who discover their children possess mutant powers. Now forced to go on the run from a hostile government, the family joins up with an underground network of mutants and must fight to survive. Starring Amy Acker, Stephen Moyer, Natalie Alyn Lind, Percy Hynes White, Blair Redford, Jamie Chung, Sean Teale, Cody Bell, and Emma Dumont. Details: From Ryan Murphy (American Crime Story, American Horror Story) and writing partner Brad Falchuk comes this Angela Basset-starring drama that focuses on the high pressure lives of 911 operators. The series, described as an ER-style affair will likely see a mid-season launch on FOX. First Impressions: FOX definitely has room on its slate for something soapy this Fall. And with Ryan Murphy’s name attached? We’re in! Details: An idealistic young doctor (Manish Dayal) begins his first day under the supervision of a tough, brilliant senior resident who pulls the curtain back on all of the good and evil in modern day medicine. Lives may be saved or lost, but expectations will always be shattered. Also starring Emily VanCamp, Matt Czuchry, Manish Dayal, Bruce Greenwood, Shaunette Renee Wilson, and Valerie Cruz. 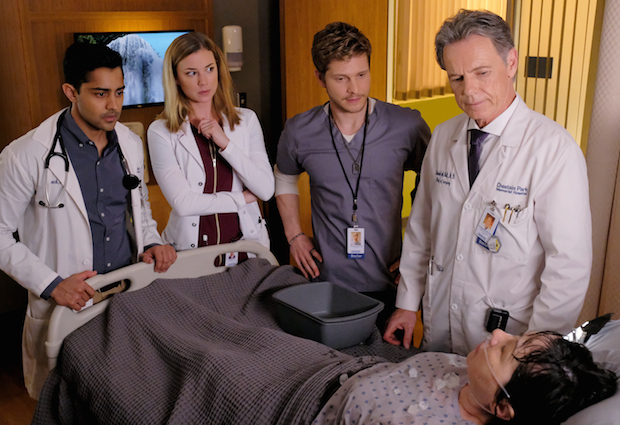 First Impressions: We want Revenge’s Emily VanCamp back on our TV screens, but doesn’t Code Black already serve up our weekly ration of tough brilliant medical residents? Details: This new dramedy from FOX follows the adventures of the Orville, an exploratory ship in Earth’s interstellar fleet, 300 years in the future. The new series stars Family Guy’s Seth MacFarlane, and Agents of SHIELD’s Adrianne Palicki, in addition to Scott Grimes, Peter Macon, J Lee, Halston Sage, Penny Johnson Jerald, Mark Jackson, and Chad Coleman. First Impressions: This might be the naughtier version of Galaxy Quest we didn’t know we needed. Or it could just be terrible. Details: Hart of Dixie’s Cress Williams stars as Jefferson Pierce, an ex superhero who ‘hung up the suit’ and his secret identity years ago. However, with a daughter hell-bent on justice and a star student being recruited by a local gang, Pierce is pulled back into the fight as the wanted vigilante and DC legend — Black Lightning. Also starring Nafessa Williams, China Anne McClain, and Christine Adams. First Impressions: Is there room on the CW’s schedule for yet another DC Comics superhero? Of course there is. Details: A modern reboot of the iconic long-running series follows two of America’s wealthiest families, the Carringtons and the Colbys, as they feud for control over their fortune and their children. The drama will unfold through the eyes of two women at odds: Fallon Carrington — daughter of billionaire Blake Carrington (Grant Show) — and her soon-to-be stepmother, Cristal (Nathalie Kelley) — a Hispanic woman marrying into this WASP family and America’s most powerful class. In an age where dynasties appear everywhere — from reality TV to the polling booths — this epic drama features the one percent in all its glitz and gloss, while exposing the dark underbelly: a corrupt world built on backroom deals, betrayal, and, in some cases, murder. First Impressions: Only the CW could do justice to a reboot of Dynasty. Bring on the pretty people drama! Details: Starring Sleepy Hollow’s Matt Barr, this new series explores the boundaries between military discipline and human desire on a US Army base that houses an elite unit of helicopter pilots trained to perform clandestine international and domestic missions. This flashback heavy drama unfolds a failed mission involving one of the first female pilots in the unit, ultimately uncovering layers of personal and government and military secrets, and leading to a season-long plan to rescue a group of MIA soldiers. Also starring Charlie Barnett, W. Tre Davis, Christina Ochoa, Nighel Thatch, Corbin Reid, and Melissa Roxburgh. First Impressions: An interesting direction for the CW. We’re intrigued. First Impressions: Welcome back to the CW, Lucy Hale. It’s been some time since Privileged, but there’s no doubt this actress has what it takes to front a show. Details: Filmed on location in Morocco, this new series from NBC takes a heart-pounding look into the complex world of the country’s bravest military heroes who make personal sacrifices while executing the most challenging and dangerous missions behind enemy lines. 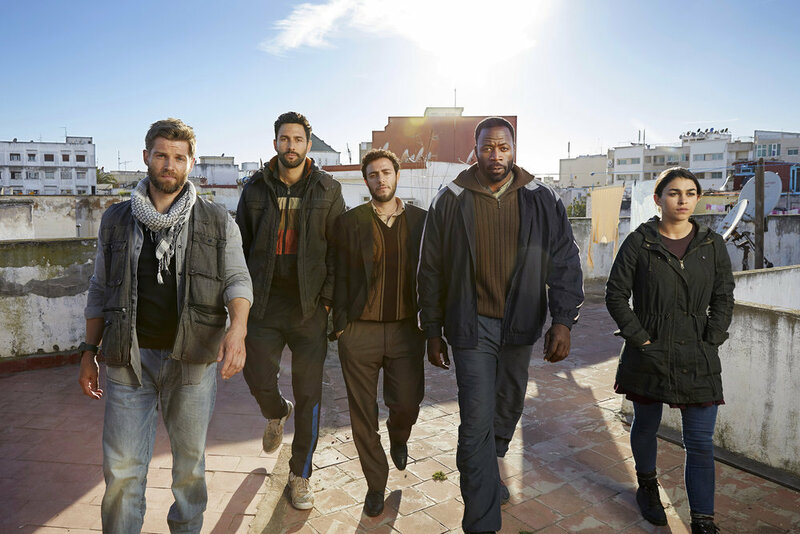 The series stars Mike Vogel (Under the Dome), Anne Heche, Natacha Karam, Noah Mills, Tate Ellington, Sofia Pernas, Demetrius Grosse, and Hadi Tabbal. First Impressions: We like Mike Vogel, but much may depend on how gritty and realistic the show skews. Details: From Mickey Fisher, the creator of Extant, this grounded new thriller follows Mara Kint (Sarah Shahi), a former hostage negotiator and expert on human behavior who became a college professor after facing an unimaginable personal tragedy. But when she’s brought in to save ordinary people who have lost themselves in a highly advanced virtual-reality program in which you can literally live your dreams, she finds that in saving others, she may actually have discovered a way to save herself. First Impressions: A little bit Person of Interest meets Westworld? Details: This new ‘inspired by a true story’ drama series is based on the book by Michael Sokolove centers around a working-class high school drama department and the students who come alive under a passionate teacher and family man whose dedication to the program galvanizes the entire town. Starring Josh Radnor, Rosie Perez, Auli’i Cravalho, Marley Shelton, Rarmian Newton, Amy Forsyth, Shannon Purser, (Damon Gillespie, Shirley Rumierk, Joe Tippett, Ted Sutherland, Taylor Richardson, and Casey Johnson. First Impressions: Oh Captain My Captain! Is NBC cashing in on This is Us’ feelgood vibe with another heartwarming and life affirming story? Details: This new drama focuses on three “good girl” suburban wives and mothers who suddenly find themselves in desperate circumstances. The action kicks off when they decide to stop playing it safe, and risk everything to take their power back. The series stars Kathleen Rose Perkins, Mae Whitman, Retta, Matthew Lillard, Manny Montana, Reno Wilson, Lidya Jewerr, and Izzy Stannard. First Impressions: Ugh that title! (When can we start calling women women?) Also, might the premise have worked better as a comedy?